We’re celebrating our own 10th business anniversary with a fresh new website. 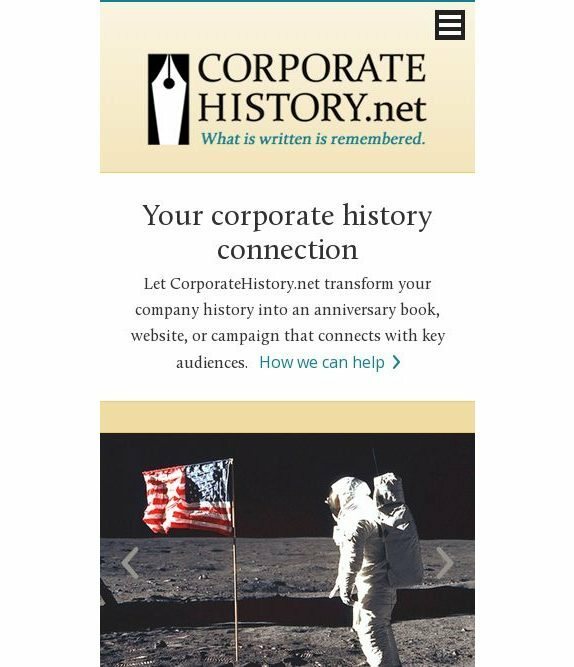 Check out https://www.corporatehistory.net on smartphone, tablet, or good old desktop and tell us what you think. Kudos to our intrepid web designers at cdeVision in Holyoke, MA — Bill and Antonio, you’re the best.